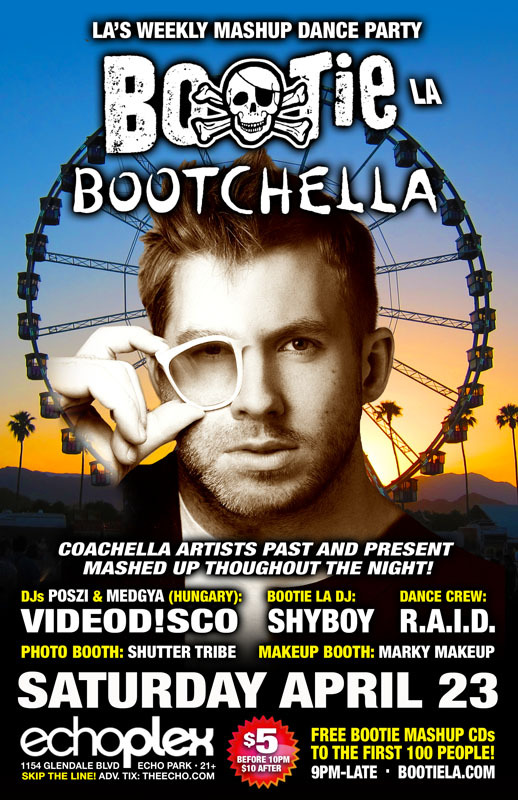 Special guests from Hungary, Videod!sco DJs Pozsi and Medgya will be doing a video mashup set, joining resident DJ ShyBoy to mix and mash Coachella artists past and present all night long — it’s Bootchella! Resident dance crew R.A.I.D. gives you festy go-go insanity, Marky Makeup gives your bodies that festival touch, and Shutter Tribe captures it all! Plus FREE Bootie mashup CDs to the first 100 people through the door!